Environmentally Friendly & Conflict Free Moissanite is regarded as the best diamond alternative in the world, with some optical properties exceeding those of diamond. Official retailer of (Charles & Colvard Moissanite) & Diamond Engagement Rings. OgilvieGems lead the local industry with our unmatched 14K, 18K Gold and Platinum Diamond & Moissanite Custom Hand Crafted Diamond Engagement Rings. 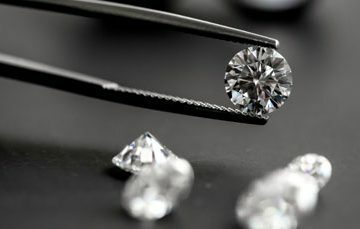 Our customer approval and constant striving to provide world class service for every contract, large or small has made OgilvieGems the number one 14K, 18K, Platinum and Moissanite wholesaler in South Africa. Whether we’re working with an individual client or a company, we guarantee you’ll receive only the best quality products and service from us. From the first email Alan and his team have provided exceptional service. The communication and level of involvement in the entire process of creating your special piece of jewelry is impeccable. I absolutely love my eternity ring. Thank you so much for the love, care and craftsmanship that has gone into my one of a kind piece. I would highly recommend OgilvieGems to anyone looking for more than just a ring. We felt like royalty while working with Alan from Ogilvie Gems to create my fiance's Engagement ring and Wedding band. Communication was a breeze and the service was top notch. I appreciated the quick feedback and tips with regards to our custom designs and taste. He really went out of his way. This guy is truly passionate about what he does and it shows in the wonderful service he provides. I would recommend OgilvieGems hands down! Great professional, prompt and friendly service. They absolutely go out of their way to ensure the best customer service, and pay great attention to details on each wedding/engagement ring they create. They are willing to go the extra mile. I wouldn't suggest any other jeweler than Ogilvie Gems!! Exceptional, amazing, quality, perfection! There are no words to actually describe the most amazing service ever. From the first whatsapp message to getting the ring delivered in person. Thank you Alan for the fantastic service you offered me and for making my dream and my fiancé dream ring become a reality. The quality of workmanship throughout the whole process was exceptional. You guys really are one if not the best at what you do and i will always refer people to you. Absolutely beautiful craftsmanship an attention to detail that stretches far beyond the actual ring to impeccable and personal client service that never ceased to amaze. I would recommend OgilvieGems to any one who appreciates a personal touch and a story behind it all. Nothing is too much effort or impossible to try. They really strive and succeed in making something as intimate as an engagement as special and exciting as it should be, because they are as excited about the creation of that ring as you are. Thank you Alan! No words could ever describe how perfect my ring is. Thank you guys so much for putting in the effort and having such attention to detail. I could never have imagined a better piece of jewelry. You have honestly assisted Bradley in making my dreams come true and I am forever grateful THANK YOU! I can never ever ever thank you guys enough !! My ring is gorgeous!! I stare at it all day everyday!! I didn’t even know you were in contact with my fiancé. When I found out about all the hard work that you guys put in, my heart was in awe! I love the engraving. I love the how the ring sits on my finger and how breathtaking it is!! Let’s not even mention the rock and how stunning it Is !! It’s a masterpiece!! I could never be happier. Thank you for making my dream come true !! I’m truly the happiest girl in the world !! Absolutely amazing team and amazing customer care. Thank you for making the whole process effortless! After the experience at Ogilvie it feels like we’ve become friends. Nothing was ever too much trouble and I never once felt like “just a number”. Thank you! Not even to mention to masterpiece that came out of it ! OgilvieGems is a official retailer of Charles&Colvard Moissanite Diamond Engagement Rings. Charles & Colvard® provides a Limited Lifetime Warranty that applies to your purchase of Charles & Colvard Created Moissanite® gem(s) that are 4mm in size or larger. 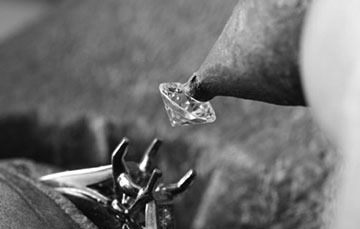 The terms of the Limited Lifetime Warranty include a warranty against defects in material and workmanship in the gem(s).